Maya Pindyck #nycpofest – Oh, Bernice! Maya Pindyck is a poet and visual artist. She is the author of Emoticoncert (Four Way Books, forthcoming), Friend Among Stones (New Rivers Press), and a chapbook, Locket, Master (Poetry Society of America). 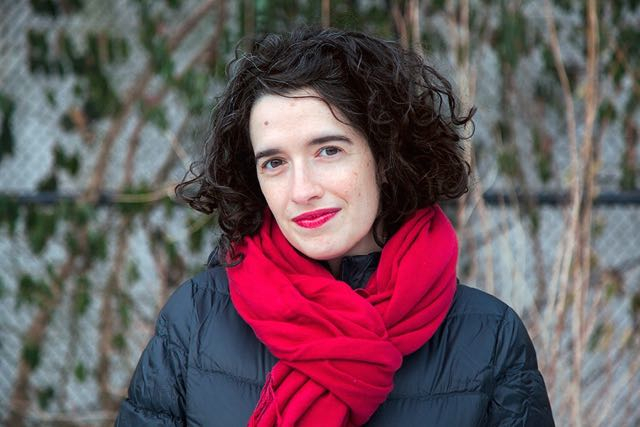 Her work has earned her grants and fellowships from the Historic House Trust of New York City’s Contemporary Art Partnerships Program, the Community of Writers at Squaw Valley, the Vermont Studio Center, and the Abortion Conversation Project. Currently a doctoral student at Columbia University’s Teachers College, she lives in Brooklyn. This entry was posted in Upcoming Events and tagged brooklyn, Columbia University's Teachers College, Emoticoncert, four way books, Friend Among Stones, Historic House Trust, Locket, Master, maya pindyck, new rivers press, New York City's Contemporary Art Partnerships Program, nycpofest, poetry, poetry society of america, the Abortion Conversation Project, the Community of Writers at Squaw Valley, the Vermont Studio Center. Bookmark the permalink.